Birthdays are an important time in people’s lives and it means they are growing and getting older. Some people take their birthday very seriously and others are relaxed about their birthday. No matter what type of birthday person you are, you would definitely like to read a nice birthday sentiment on your actual birthday, wouldn’t you? Happy birthday text messages are a great way to show someone you care and that you are thinking of them on their big day. Nowadays, we use our cell phones for everything and often do not have any other type of contact with people. You can easily send a text message to someone on their birthday and make them feel special. Think about it. Wouldn’t you like to receive a happy birthday message from your friend, co-worker, or lover? Below is a list of happy birthday text messages that will help you make someone’s day. 1. They say special friends can be a very rare find and that is why I am extra glad that you are one of mine! Happy Birthday to my dear friend. 2. What a special treat, to wish a happy birthday to someone who is so sweet. 3. I send this message packed full of love your way to wish you a happy birthday on this very special day. 4. Happy Birthday to my friend. I hope all of your birthday dreams and wishes come true! 5. Wishing you a day that is as special as you are in every single way. Happy Birthday! 6. Life is about living with a smile on your face. No one does a better job of putting and keeping a smile on my face like you. Happy Birthday! 8. Roses are red, violets are blue, all I want to say is very happy birthday to you. 9. Birthdays are good for your health. Statistics show that the more you have, the longer you live. Happy Birthday! 10. This day will be remembered, in many special ways, and tomorrow we will start together, many more years of happy days. Happy Birthday my love! These happy birthday text messages are a great way to remember your friend, lover, mother, father, and even brother or sister. 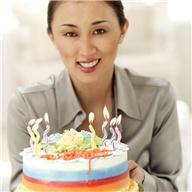 Each person you send a happy birthday text message to will feel loved and remembered on their special day. Sending a short and sweet message will let them know that you are thinking about them and will put a large smile on their face. A birthday is a special time in life because it means that you are growing and becoming more knowledgeable about the things around you. Simply saying happy birthday to those who mean the most to you will go a long way. Don’t forget your special someone this year and type of a text message that will brighten their day.